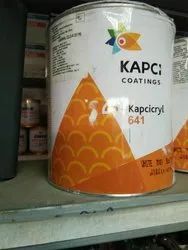 Meant for interior use for decorative and industrial application such as refrigerators, washing machines, radiators, water heaters, transformer covers, florescent lamps, office furniture, electronic control boxes etc. It is not recommended for exterior use. We can offer intelligent solutions and modern products to meet the requirements of our customers through our extensive experience in surface and material science.